A lovely puff ball of a flower that blooms in mid summer. 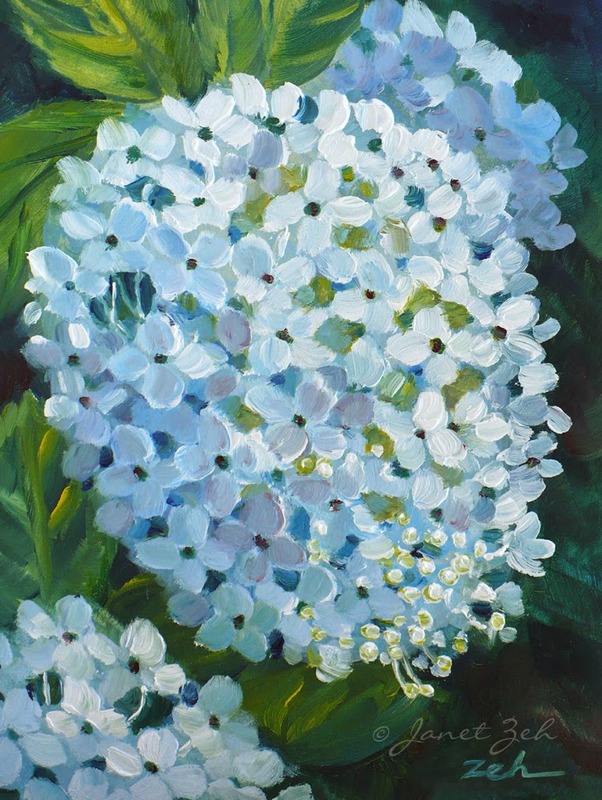 I painted the original oil (sold) from the Hills of Snow hydrangea shrub in my garden. 'Hydrangea Blossom' Print comes in several sizes and print options. Click the Order Print button below for sizes, options and prices.